Below you can view all the homes for sale in the Brooke Farm subdivision located in Dunwoody Georgia. 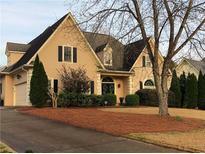 Listings in Brooke Farm are updated daily from data we receive from the Atlanta multiple listing service. To learn more about any of these homes or to receive custom notifications when a new property is listed for sale in Brooke Farm, give us a call at 404-998-4097. New Higher End Carpet Upstairs & All Refinished Hardwoods On The Main, New Marble Guest Bath, New Paint, Full Unfinished Basement. Must See! MLS#6525152. Dawn Realtors. Patio Off Basement Overlooking Pool. Privately Landscaped & Fenced. New Carpet. MLS#6519100. New Choice Real Estate, Inc..
2 Addl Bedroom/2 Bath Upstairs, Large Loft Area. Swim/Tennis Neighborhood. MLS#6515967. Coldwell Banker Residential Brokerage. Close To Shopping And Restaurants, Swim/ Tennis With 2 Pools! MLS#6511244. Berkshire Hathaway Homeservices Georgia Properties. 3 Addl Spacious Bedroom/2 Baths Upstairs. Swim/Tennis/Clubhouse Neighborhood. MLS#6112119. Coldwell Banker Residential Brokerage.